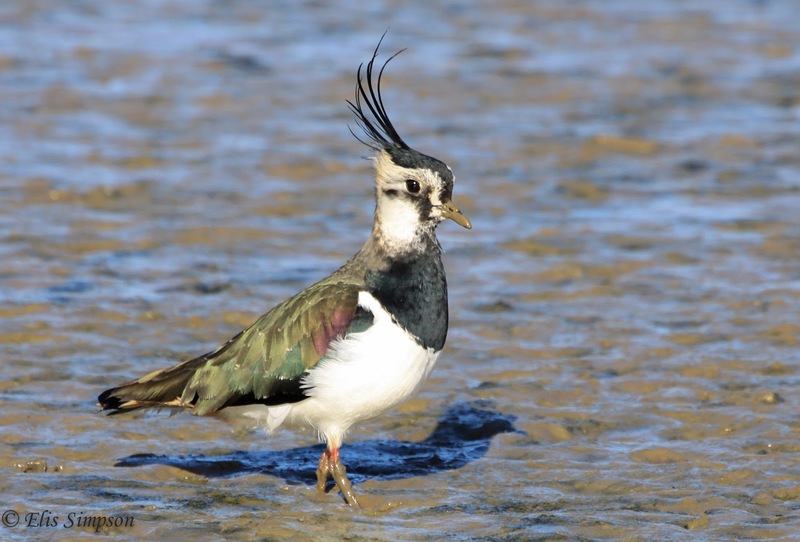 Wader Quest: How did the Lapwing get such a bad reputation? 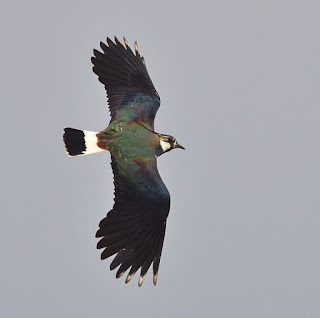 How did the Lapwing get such a bad reputation? 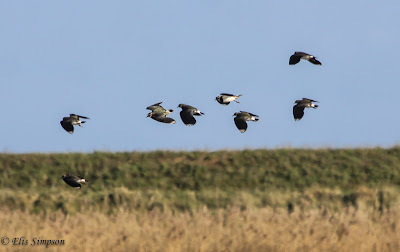 A deceit of lapwings? That is a scandalous collective noun for such a wonderful and noble bird. How did this happen? It is widely written that this deceit lay in the fact that Northern Lapwings perform a broken wing display when you approach their nest. Whilst this is definitely true of many plovers, personally I have never seen this in Northern Lapwings. Our friend Benny Middendorp in the Netherlands, who rings Lapwing chicks and therefore approaches many such nests on a regular basis, has never seen it. If you check, as I did, the subject on the internet and click on images, there is not a single piece of photographic evidence to support that this happens. 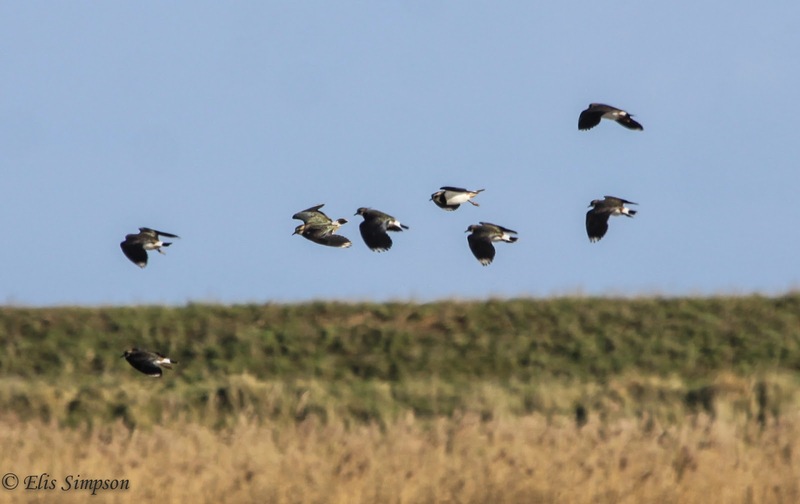 Hundreds of plovers and Killdeers but just one or two photos show a lapwing in a strange position with one wing extended and held high while tipping the nearer wing downward. However, I believe this is more the bird trying to intimidate, making itself larger and more imposing by raising and spreading its wing than feigning injury. Another contender that has been mooted as an explanation for this reputation, albeit in a literary book from 1825 with the incredible title which seems longer than the book itself 'A glossary; or, a collection, of words, phrases, names and allusions to custom, proverbs &c. which have been thought to require illustration in the works of English authors particularly Shakespeare and his contemporaries.' 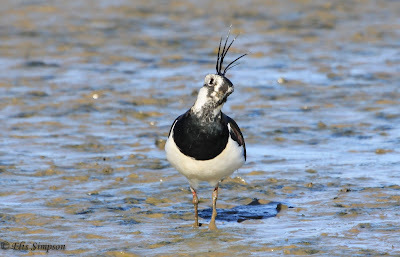 by Robert Mares, is that the closer you get to a lapwing's nest, the less scandalous and loud it becomes. The idea presumably is that the bird is using subterfuge to make you think you are getting further from its nest. Again Benny, who approaches many nests every year says this simply is not the case, the nearer you get the louder they get. There is yet another proposed explanation suggesting that it is in fact a misinterpretation of a foreign word. 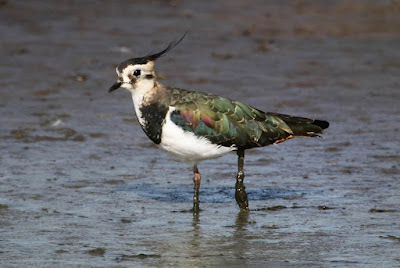 In England the Northern Lapwing is commonly know as a peewit, after its call, in Dutch it is kievit and the French have a similar name, they call it '18' dix-huit (pronounced more or less desweet). Some claim that the idea of deceit came from this word being used in days of yore suggesting that during the melding of French and English after 1066, the two meanings got mixed up. You can imagine a Norman Lord astride his horse, spotting a flock of lapwings, whipping out his ancient 10 x 30s and shouting 'Dix-huit! Dix-huit!' in his excitement and the Anglo Saxon surfs getting the wrong idea. Wishing to please their master, and no doubt spare their lives, they started referring to the flock of 'hleapewince', as they might have previously been calling them, as a deceit of 'hleapewince' instead. This latter is a lovely story, if a little fanciful, but it would not explain why the ancient Greeks had a mistrust of the Lapwing and considered it deceitful, after all France and the French and even the Men from the North (Normans) with their wonderful language did not exist in those days. I have my own theory, and it is based on nothing more than a hunch and this is it. In ancient times people were not very exact about what they called birds and misinterpretations easily occurred; especially in the translation of ancient texts. 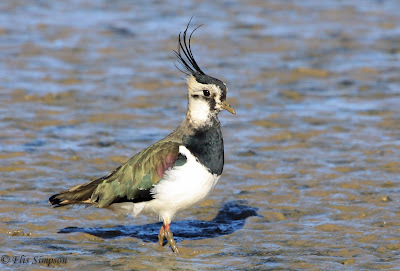 In the Holy Bible (Leviticus XI 19) for example when the animals that were to be considered unclean were being sorted by Moses the Lapwing's name came up. It was considered unclean as it ate insects from cow dung. However in another version of the same text, that same bird is referred to as the Hoopoe which almost certainly is more likely to have been seen in those areas, doing just that. So there you have one case of mistaken identity. In Ancient Greece when Daedalus threw Talos from the Acropolis wall, legend has it that Talos was saved by the Godess Athena who caught him and, according to some interpretations, turned him into a Lapwing. Others though believe the bird concerned was a Partridge, which much better fits the myth in that the resulting bird nested on the ground, was afraid of heights and never flew high as a result. (This is further endorsed by a synonym of Talos = Perdix which is now used as the genus name for partridges of course). Mistaken identity example number two, demonstrating that errors in translation do happen. 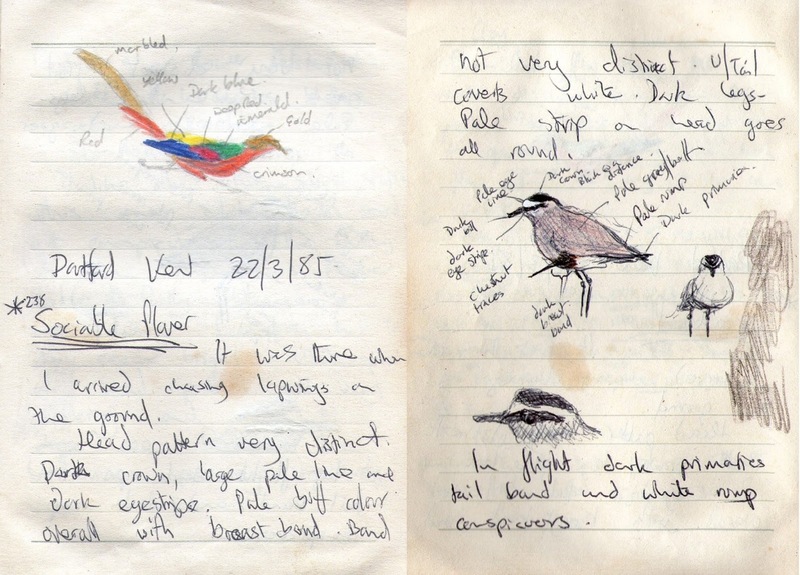 I believe that there might have been some misunderstanding between plover and lapwing in those far off days. 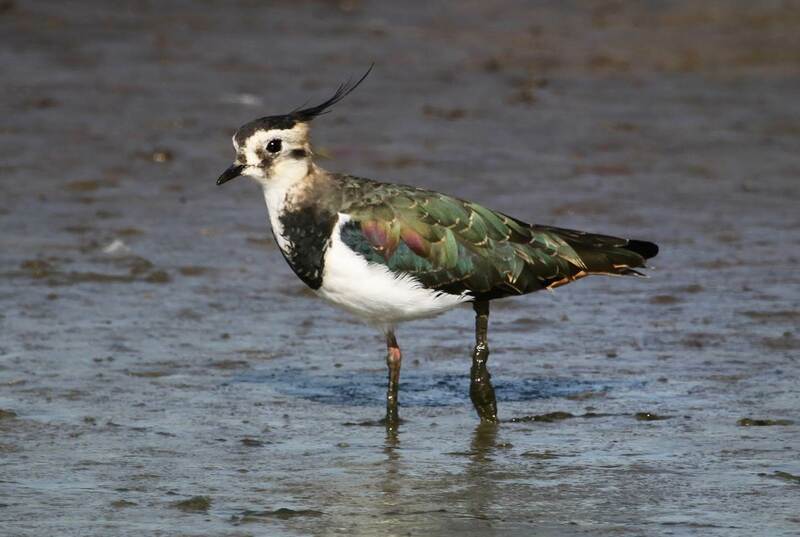 Lets face it our own Northern Lapwing has, in the past, often been referred to as Green Plover and many lapwing species were known as plovers until quite recently; I ticked a Sociable Plover not a Sociable Lapwing, when I first saw one in 1985 for example. So it is my contention that the deceit was that perpetrated by plovers which, as we all know and can testify to, commonly feign injury, but it was the unfortunate lapwing that got the reputation despite the fact that it rarely, if ever, exhibits this behaviour. Still, once you have a reputation it is hard to shift it. You may have noticed instances where errors in books have been 'borrowed' and regurgitated until they become fact. They get repeated from one tome to another down through the aeons by highly regarded authors right up to, and including recent well respected titles, and we none of us ever question them. I think, and it is pure conjecture I admit, that the father of Ornithology, one Aristotle, might be at the bottom of all this and could be to blame, directly or indirectly. In his extensive writing about birds he could well have touched upon this issue. He then either confused the plover and the lapwing (which I doubt, he was a man of science after all) or was less than precise when he wrote about the feigning of injury (same applies) or, the most likely scenario for me is that the confusion happened when his works were translated from Ancient Greek and the scandalous calumny simply got repeated down through the ages; Chaucer ''False lapwynge, alle ful of treacherye! '; Shakespeare 'Far from her nest the Lapwing cries away'; Gower 'The bird falsest of all' Caxton calls them 'foul and villainous'. You can hear the frustrated Lapwing's cry to this day as they pass over the spring meadows dipping and swerving, mad with indignity 'It wasn't me! It wasn't me!' Go on, go out and listen. Now here's where you prove me wrong, does anyone think that Northern Lapwings regularly or ever feign injury? Have you seen it? Do you have a photograph? 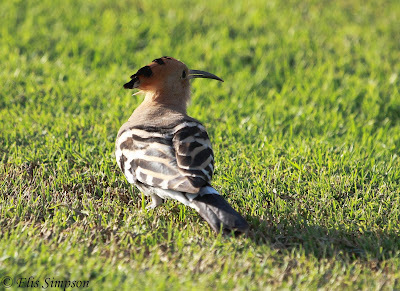 We have a charm of Goldfinches, an exaltation of Larks, so why, oh why, do we have a deceit of Lapwings? 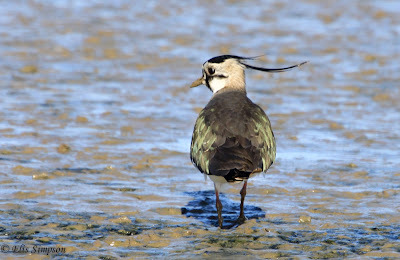 Benny's Lapwing blog can be seen here.